Dimensions 1.30 by 6.40 by 9.60 in. 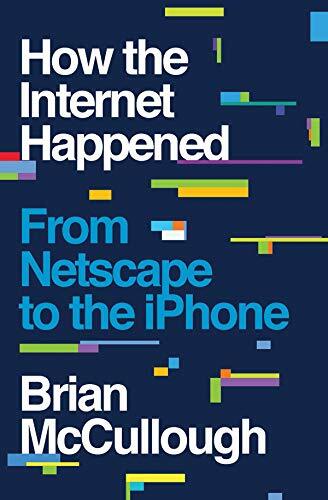 Depicting the lives of now-famous innovators like Netscapeâs Marc Andreessen and Facebookâs Mark Zuckerberg, McCullough also reveals surprising quirks and unknown tales as he tracks both the technology and the culture around the internetâs rise. Cinematic in detail and unprecedented in scope, the result both enlightens and informs as it draws back the curtain on the new rhythm of disruption and innovation the internet fostered, and helps to redefine an era that changed every part of our lives.